For our lesson today, Abiding in the Way of the Lord, we have three Scripture Passages, two from Mark’s Gospel (Mark 9:2-8) and (Mark 12:18-33) and the third Scripture Passage comes from the 12 Chapter of John’s Gospel (John 12:19-26). The Scriptures from Mark give us a glimpse of what it like in Heaven, by giving an account of the Transfiguration of Jesus, as well what we may expect after our resurrection, as well as the most important of GOD’s Commandments, also known as HIS Great Commandment. 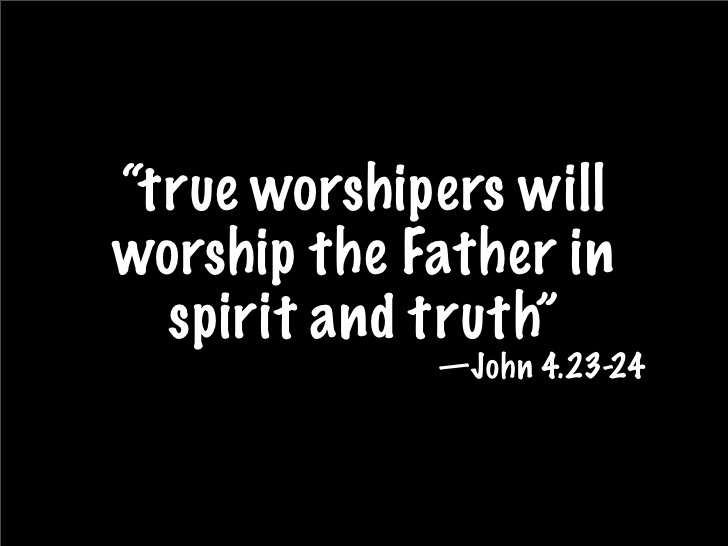 In today’s third Scripture passage, from John, the Lord instructs the Woman of Samaria on where and how to worship God. The three Scriptures illustrate how easy it is to be misguided and confused when we attempt to seek GOD’s grace and presence, which is HIS spirit and truth, on an earthly plane, at some special sacred place, such as upon a Holy Mountain. The disciples were initially terrified by what they had witnessed. Then Peter suggested building, as temples; one each for Church of the Transfiguration. I do not think that is what the Lord had in mind when he brought his disciples up on the mountain. 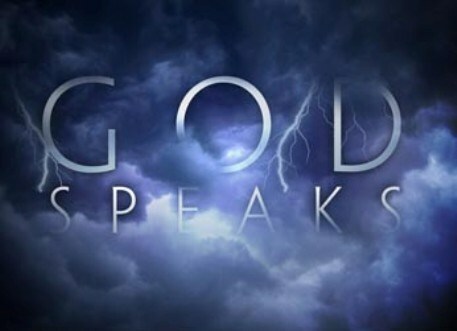 We read next that a cloud comes above them, and the disciples hear GOD’s voice speak: “This is my beloved Son; listen to him,” after which Moses and Elijah, who scholars view represent the Law and the Prophets, are no longer visible. On Mount Tabor, today, we see that the Church of the Transfiguration has been erected to signify the place of the miracle, just as Peter had suggested to the Jesus. 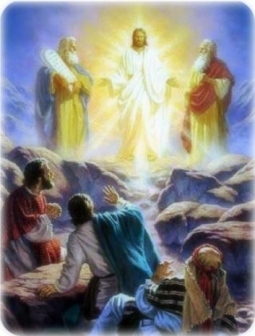 Peter, as well as those on who built the church, chose to venerate the sight of the transfiguration, rather than just focusing solely on the event. The Lord did not intend reveal the miracle of his transfiguration in order for people to plant a church on the mountain. Instead, Jesus’ miracle demonstrated the Divine nature of the Lord, giving us a glimpse of what heaven must be like. This interpretation of the vision is confirmed when the Heavenly Father identifies HIS son to the disciples and instructs them listen to him. . In this glimpse of life after the Resurrection, we see that we are no longer in human form, but appear as the angel in heaven. No longer are we under the laws of this world. Like Jesus, Moses and Elijah on Mt. Tabor, we will be transfigured, being radiant and glowing bright as the sun. 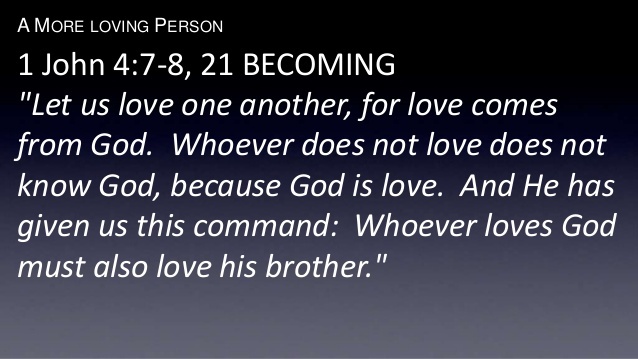 We see that the both loving God and loving our neighbor are keys following and worshipping GOD. 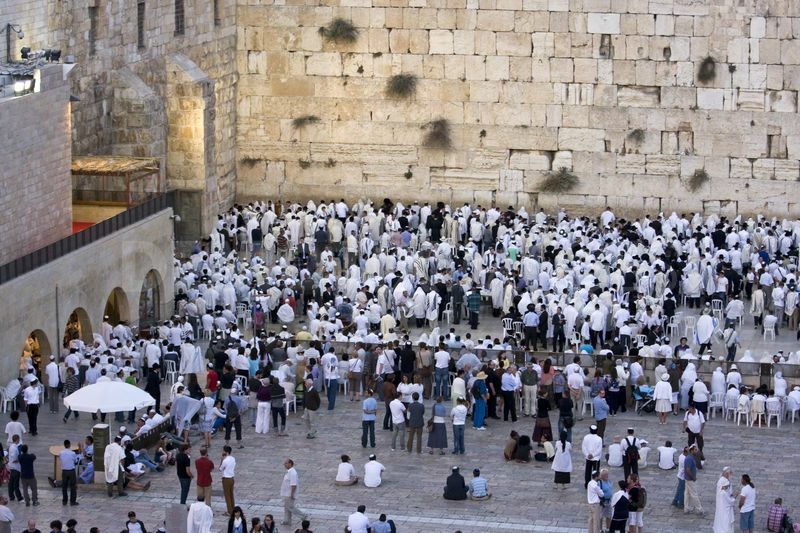 The Western Wall, Wailing Wall or Kotel is located in the Old City of Jerusalem. It is a relatively small western segment of the walls surrounding the area called the Temple Mount (or Har Habayit) by Jews, Christians and most Western sources, and known to Muslims as the Noble Sanctuary (Al-Haram ash-Sharīf). The Temple Mount is the holiest site in Judaism and is the place to which Jews turn during prayer. The original, natural and irregular-shaped Temple Mount was gradually extended to allow for an ever larger Temple compound to be built at its top. The Church of the Holy Sepulchre, also called the Basilica of the Holy Sepulchre, or the Church of the Resurrection by Eastern Christians, is a church within the Christian Quarter of the UNESCO World Heritage-listed walled Old City of Jerusalem. The site is venerated as Calvary (Golgotha), where Jesus was crucified, and also contains the place where Jesus is said to have been buried. The church has been an important Christian pilgrimage destination since at least the 4th century as the purported site of the resurrection of Jesus. 12 “This is my commandment, that you love one another as I have loved you. 13 Greater love has no one than this, that someone lay down his life for his friends. 14You are my friends if you do what I command you. 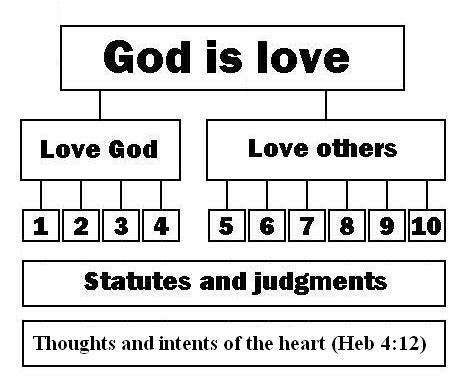 17These things I command you, so that you will love one another. 4 Abide in me, and I in you. As the branch cannot bear fruit by itself, unless it abides in the vine, neither can you, unless you abide in me. 5I am the vine; you are the branches. Whoever abides in me and I in him, he it is that bears much fruit, for apart from me you can do nothing. Rather than embarking upon pilgrimages and building glorious cathedrals, our best and purist expression of Christian worship is truth and love, as defined by the Lord. 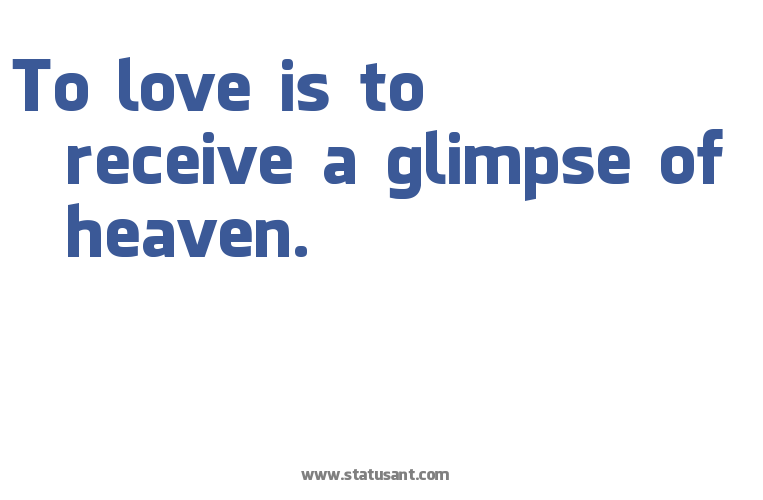 In this manner, we have an opportunity to share with others a true glimpse of heaven. The title of today’s lesson is ‘Anticipating the Love of Christ’. The Bible says that we are created in God’s image and those good characteristics reflect those good virtues of God. As we conserve daylight by changing our clocks for daylight Savings Time, today’s lesson is about conserving and stewardship of God’s gifts to us. A wise man once said: “It takes a lot of hard work to make a dream reality. It’s a lot easier to make a dream a delusion.” This is quite a profound statement. But what is meant by the statement: “It takes a lot of hard work to make a dream reality. 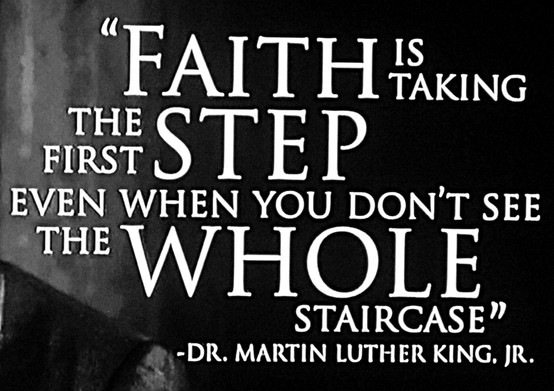 It’s a lot easier to make a dream a delusion”, especially with respect our faith, our walk with Jesus? In World War II, we have the account of a wine steward who was responsible for caring for the finest collection of wine in all of Europe, which was kept in the wine cellar at the Chateau of Monaco. At that time in history, the chateau was well known for its vintage, rare wines. But the Nazis had overrun the city and now lived and dined in the chateau, expecting and wanting to drink the world’s finest vintage wines. The wine steward resented those “slime Nazis” and cleverly and carefully hid all the rarest of wines deep in the cellar, serving his enemy only the cheapest and youngest wines, pretending that those wines were the best. Stewards are people who care for precious property that is not their own, often preserving it from disaster. Though we may criticise the steward for not being lack of candor with the Nazi invaders, we can commend his desire to protect the valuable possessions with which he was entrusted. 1He also said to the disciples, “There was a rich man who had a manager, and charges were brought to him that this man was wasting his possessions. 2And he called him and said to him, ‘What is this that I hear about you? Turn in the account of your management, for you can no longer be manager.’ 3And the manager said to himself, ‘What shall I do, since my master is taking the management away from me? I am not strong enough to dig, and I am ashamed to beg. 4I have decided what to do, so that when I am removed from management, people may receive me into their houses.’ 5So, summoning his master’s debtors one by one, he said to the first, ‘How much do you owe my master?’ 6He said, ‘A hundred measures of oil.’ He said to him, ‘Take your bill, and sit down quickly and write fifty.’ 7Then he said to another, ‘And how much do you owe?’ He said, ‘A hundred measures of wheat.’ He said to him, ‘Take your bill, and write eighty.’ 8The master commended the dishonest manager for his shrewdness. For the sons of this world are more shrewd in dealing with their own generation than the sons of light. 9And I tell you, make friends for yourselves by means of unrighteous wealth, so that when it fails they may receive you into the eternal dwellings. So what is the message given to us here? It is a message of stewardship, a message of trust, and a message of care for something valuable which has been entrusted to your care. The key in understanding the parable is to know whether the manager is acting on behalf of his master (The Rich Man) when he reduces the debts that the debtors owe his master. Luke 16:3 indicated he was. The manager says this, “My master is taking away my job.” Note the tense of the verb. The Rich Man did not fire him on the spot! He was in the period of time his master gave him to “give an account of your management” (Luke 16:2). The creditors were under the impression that the Rich Man was the one being generous with them and lowering the amount they owed him. The first was that he could expose the dishonest manager for acting independently of his wishes and tell his creditors they still owed the full amount of their bills. If he does this he would appear selfish and greedy (even though it would be within his rights). The second was to let the actions of the manager stand and receive the praise given him by his creditors (and no doubt others within the community) for his generosity. He would learn from his mistake of allowing the manager, of whom he was suspicious, to act on his behalf. Next time he would fire someone on the spot. Jesus follows up the parable with a challenge to those who follow him to be creative in their use of worldly wealth for eternal purposes! 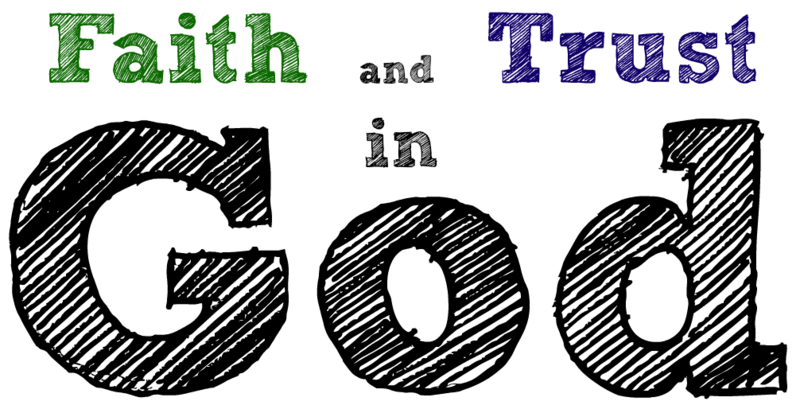 He contrasts “worldly wealth” with “true riches” (Luke 16:11). 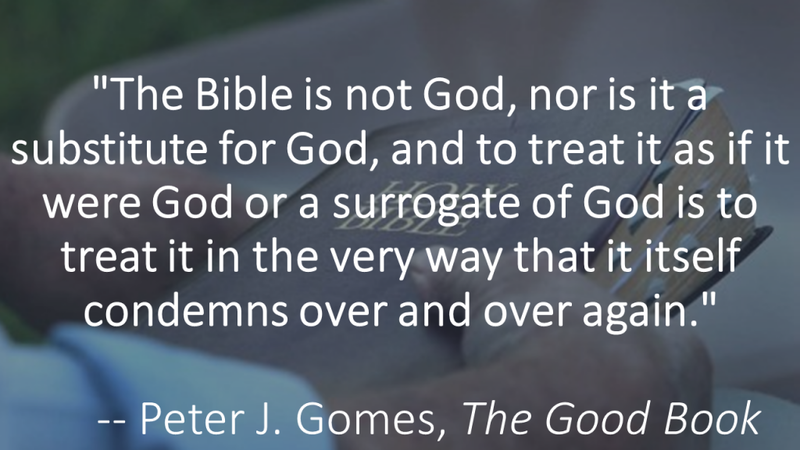 Jesus does not confuse the two. He concludes with the warning that no one can serve two masters. You cannot serve both God and Money at the same time. You can only have one master. If money is your master then God cannot be. If God is your master then you should use your wealth in a manner that honors God. 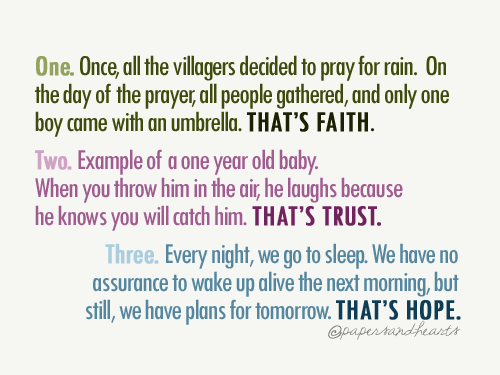 That is the point of this parable. A manager is being fired by his master. Told to bring the books into balance before turning them over for a final accounting, he faces a serious situation. He’s too old for manual labour and too proud for welfare, so he asks his master’s debtors to come in and review their accounts with him. In private meetings he has the debtors write down their accounts to a more favourable amount. In so doing he earns points with both the debtors and his master. How could this be? The manager had apparently dealt unfairly with the master’s debtors, tacking on excess profits in lieu of interest. From the story, there’s no indication the master either instigated or condoned any over-charging. Its discovery may even be one of the reasons for the manager’s sudden loss of position. Perhaps he was using these add-ons to compensate for the losses of which he was being accused. If so, his efforts resemble those of today’s Orthodox Jews during the 10 Days of Awe between Rosh Hashanah and Yom Kippur, frantically going around to right all the wrongs they’ve committed against others in the preceding 12 months. They’re working to retain their place in the Book of Life before it’s closed for another year, simultaneously reconciling themselves to their friends and neighbours while getting back into God’s Good Graces. Christians don’t need to work to get back into God’s Good Graces. Our names cannot be blotted out of the Lamb’s Book of Life. But our willingness to ask forgiveness of someone we’ve wronged is more than an attempt at reconciliation. It’s an indication of the contrition in our hearts, a measure of our repentance for the sins that we have committed. It takes a lot of hard work to make a dream reality. It is easier to make a dream a delusion if we are willing to sacrifice some of our integrity in the process, as was the case of the parable found in today’s lesson. The manager felt it was easier to deceive his master as well as those indebted to his master, than to confess to both, his wrong doing. 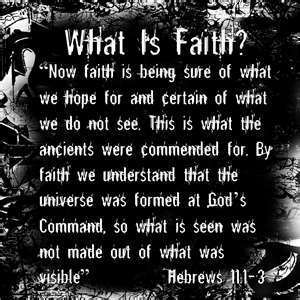 Jesus often told such parables to clarify a point of faith. The parable had faith based moral theme or lesson which can help us learn what God expect us to do in certain circumstances, as Stewards of God’s treasures, often in stark contrast to the way a non-Christian would behave under the same circumstance. 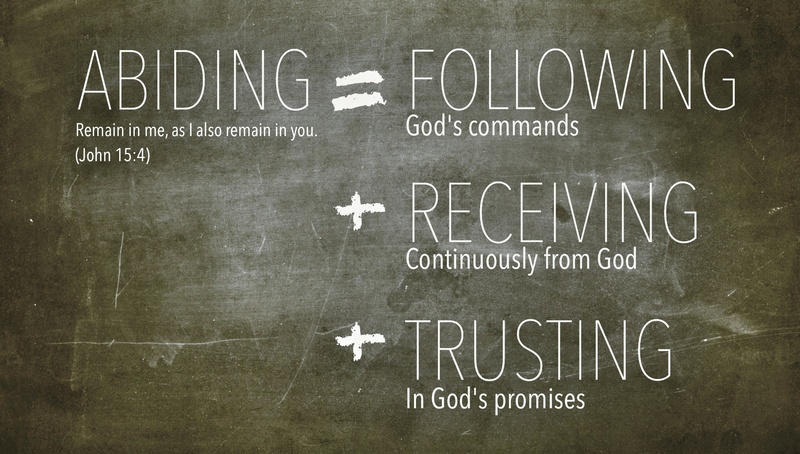 So what exactly what treasure has God entrusted us with? And let us not forget God’s most precious gift, His Son Jesus. 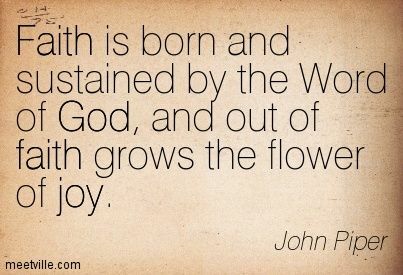 Our faith in this gift is the reward of eternal life. 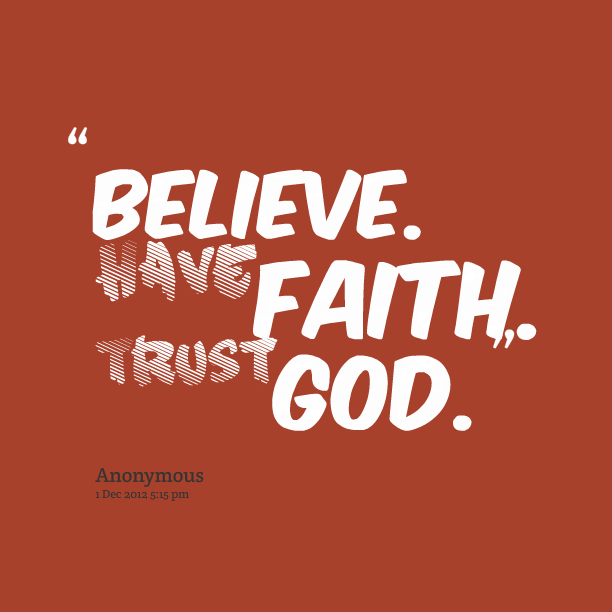 You and I are entrusted with God’s love. 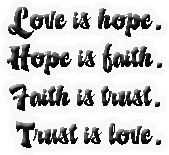 And God only asks that we freely accept his gift and faithfully give that love back to both God and to our neighbour. In order to make our gift acceptable, God sacrificed Jesus for our sins and make our faith acceptable in God’s eyes. 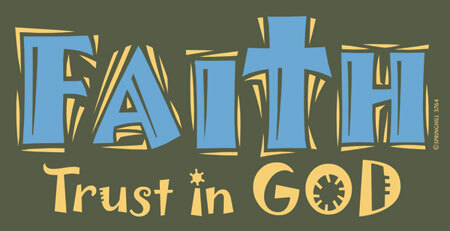 Jesus continues, “I have discovered that people who are faithful in the little things are faithful in the big things. The person who is not faithful in the little things is not faithful in the big things. The person who is faithful in both the little responsibilities and the big responsibilities, I will give even more to that person. The person who is not faithful in the little things and not faithful in the big things, I will relieve that person of all responsibilities. To whom much is given, much is required. 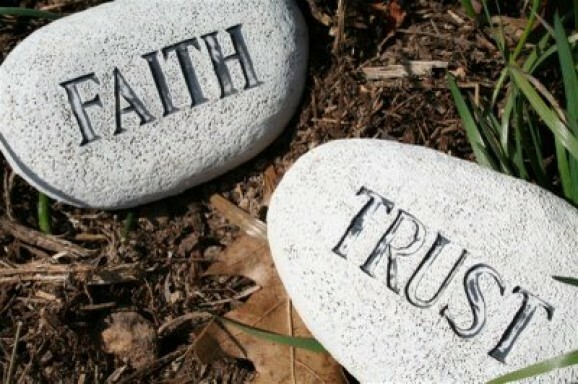 If you are not faithful with the little things of life, such as money, then who will entrust you with true riches? When the Pharisees heard this, they scoffed at Jesus because they were lovers of money. But stewardship is not about that narrow slice of life we call offerings to the church or that narrow slice of our time, talents and treasures that we give to church. Stewardship is taking care of the precious gifts and people that God has entrusted to us and that is what I would like to talk about today. The root of steward is the Greek word, “oikos”, which means house. Stewardship is taking care of household matters. A related word is “oikonomics” from which we get the word, “economics:” Stewardship is taking care of money matters that God has entrusted to us. Still another related word is “oicology” from which we get the word “ecology”. Stewardship is taking care of the earth that God has entrusted to us. None of what you own truely belongs to you: your clothes, house, furniture, pets, toys, plants, or family. None of it belongs to you. Can you take it with you when you die? Of course not! It’s not yours. 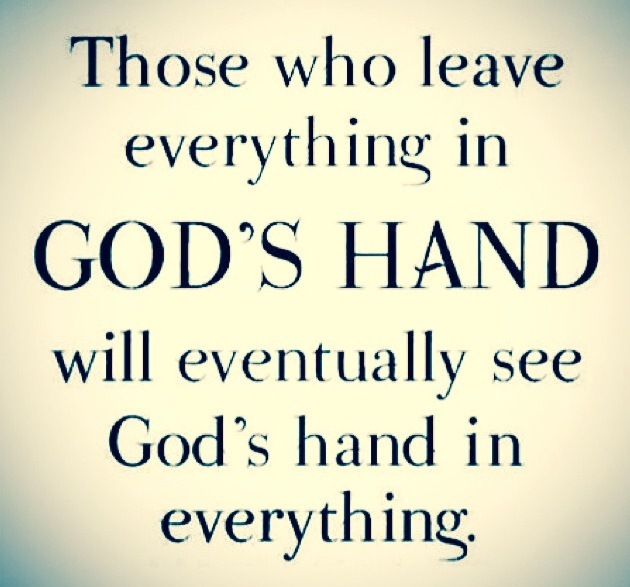 Everything in life belongs to God who entrusts you and me to care for these precious possessions. 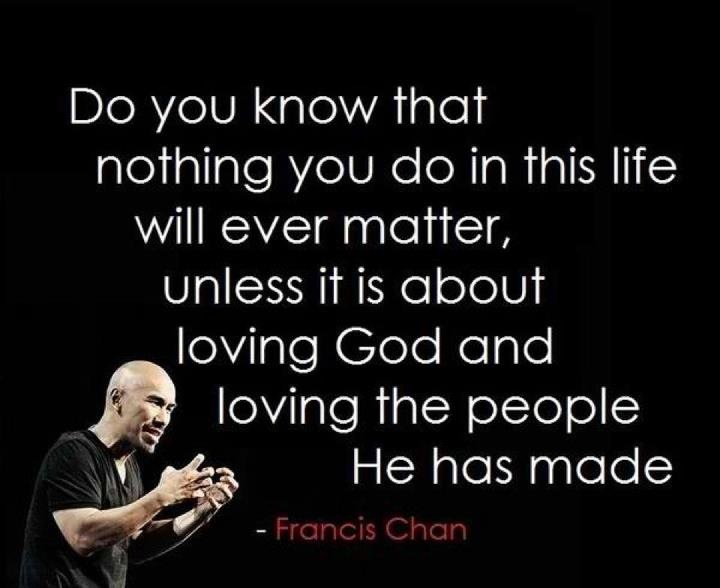 Each of us has been made stewards of Gods treasures. A Pastor who is hired by the Board and Members of Bloor Lansdowne Christian Fellowship is expected to minister to the needs of the congregation through preaching, teaching, visitation and leadership that is both glorifying to God and which nurtures the spiritual growth of the congregation in a Christ-like manner. Most churches entrust the care of their properties to trustees of the Bloor Lansdowne church properties. 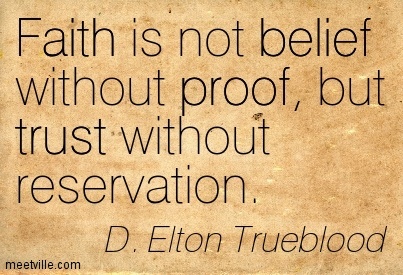 It is their responsibility to protect the church properties from those who may seek to use the Bloor Lansdowne Christian Fellowship Church and St. Helen’s properties for their own glorification and not for the glorification of God. It is the responsibility of the Church Board at Bloor Lansdowne to see that the money spent is spent wisely and in a manner that glorifies God’s by building or edifying the faith and spirit of those who believe or seek God in the community of Bloor Lansdowne. The Board must ensure that God’s funds are not for the glorification of any person or group of people. Our church is facing hard financial challenges, which may require hard financial decisions to ensure that our church continues to exist, let alone be relevant in this community. Your Church Elders are responsible to ensure that what is said, what is planned, and what is acted in the name of B.L.C.F., is said, planned and acted in a manner that is glorifying to God as well as showing love and respect to others within the church. For like that manager in the parable if any of what we say, plan, or act is done in a manner to deceive God, who is the Master, cannot be tolerated and must be acted upon by the Elders. And so in the same manner anything said, planned or done which is hidden from others in the church is viewed with the same contempt by our Father in Heaven. 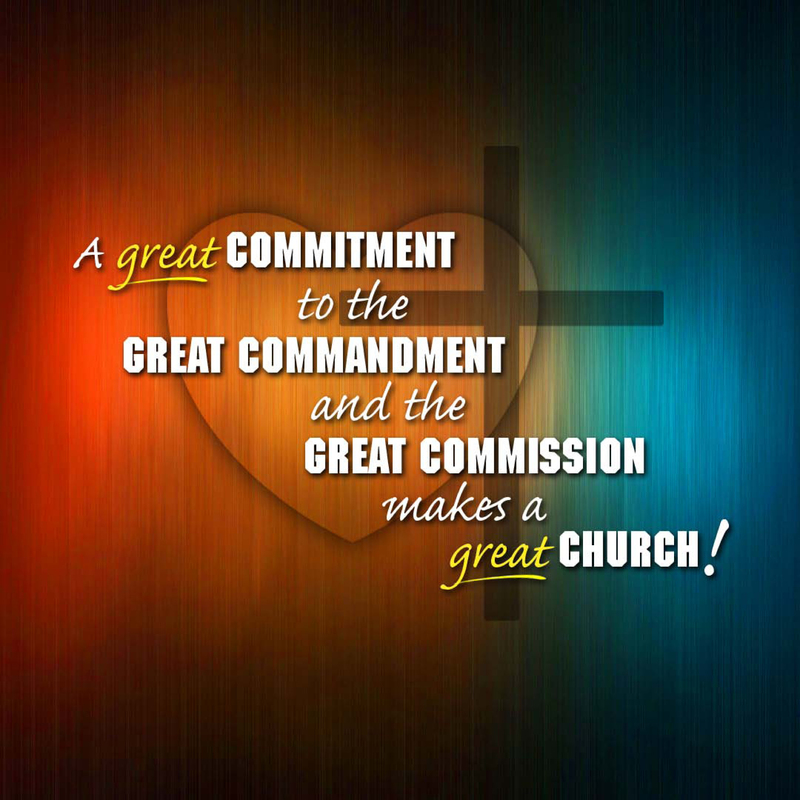 And as a congregation, we are stewards of our faith to God, this church (which is God’s house and His people), and to each other, as Jesus had commanded in John 3:16 and Luke 10:27. As stewards of God’s gifts, each of us are responsible to grow in faith to God, by trusting God, and showing Gods love by the way we treat one another. We are expected to demonstrate our support the church, both spiritually and financially. The lesson from this passage from Luke is no matter what our position and line of responsibility as stewards of Gods church here at Bloor Lansdowne, we cannot allow ourselves to be deceived by Satan into putting the Lord our God to the test in matters that God has entrusted us to take care of. Each of us should think, speak and act as faithful and trustworthy stewards providing for the church in a manner that is honourable and glorifying to God and loving and respectful to one another. 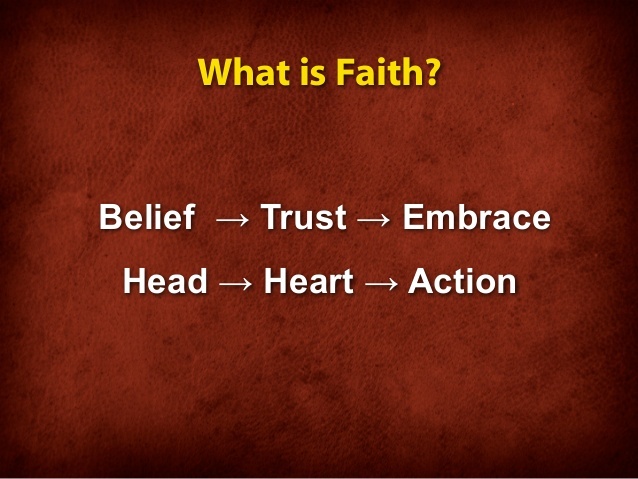 Just as Christ had a mission to be the Word Made Flesh, we have a mission to be good and faithful Stewards of the Faith. That is how we keep the flavor of our salt and project the light of Lord to others, to His glory so that we may be blessed, be happy in the Lord! 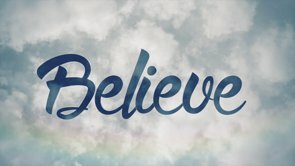 Benediction – (1 Peter 4:10-11): As each has received a gift, use it to serve one another, as good stewards of God’s varied grace: whoever speaks, as one who speaks oracles of God; whoever serves, as one who serves by the strength that God supplies—in order that in everything God may be glorified through Jesus Christ. To him belong glory and dominion forever and ever. Amen. 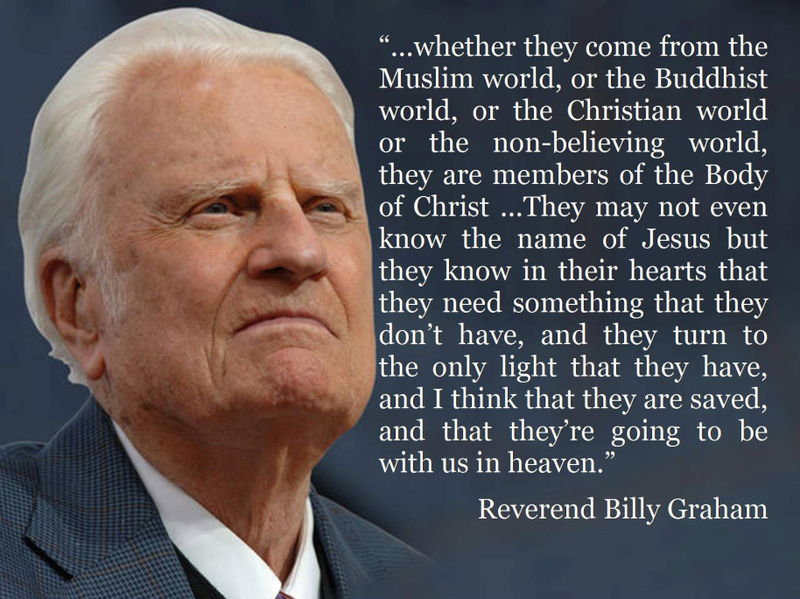 The Scriptures from Mark give us a glimpse of what it like in Heaven, by giving an account of the Transfiguration of Jesus, as well what I may expect after our resurrection, as well as the most important of GOD’s Commandments, also known as HIS Great Commandment. The three Scriptures illustrate how easy it is to be misguided and confused when we attempt to seek GOD’s grace and presence, which is HIS spirit and truth, on an earthly plane, at some special sacred place, such as a Holy Mountain. The disciples were initially terrified by what they had witnessed. Then Peter suggested that they erect some tents to be used as temples marking the place of this miracle; one each, for Jesus, Moses, and Elijah. I do not think that is what the Lord had in mind when he brought his disciples up on the mountain. We read next that a cloud comes above them, and the disciples hear GOD’s voice speak: “This is my beloved Son; listen to him,” after which Moses and Elijah, who scholars view represent the Law and the Prophets, are no longer visible. 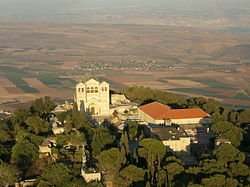 On Mount Tabor, we see that the Church of the Transfiguration has been erected to signify the place of the miracle, just as Peter had suggested to the Jesus. Peter, as well as those on who built the church, chose to venerate the sight of the Transfiguration, rather than just focusing solely on the event. The Lord did not intend to reveal the miracle of his transfiguration in order for people to plant a monument or a church on the mountain. Instead, Jesus’ miracle demonstrated the Devine nature of the Lord, giving us a glimpse of what heaven must be like. This interpretation of the vision is confirmed when the Heavenly Father identifies HIS son to the disciples and instructs them to listen to Him. Our second verse offers another glimpse of life after our resurrection when a group of Sadducees asks the Lord about a hypothetical situation and the resurrection. 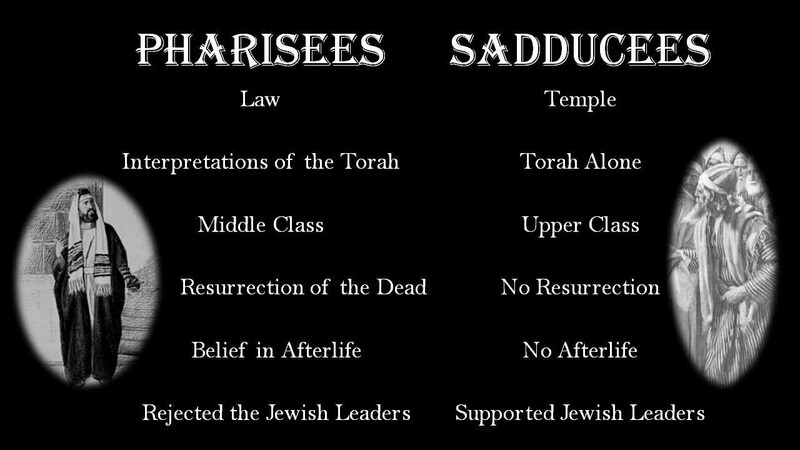 The Sadducees (/ˈsædʒəˌsiːz, ˈsædjə–/; Hebrew: צְדוּקִים Ṣĕdûqîm) were a sect or group of Jews that were active in Judea during the Second Temple period, starting from the second century BCE through the destruction of the Temple in 70 CE. 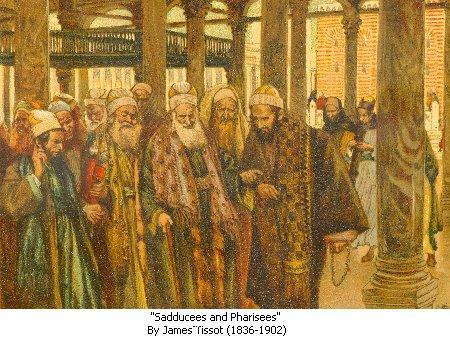 The Pharisees and the Sadducees are historically seen as antitheses of one another. Josephus, the author of the most extensive historical account of the Second Temple Period, gives an extensive account of Jewish sectarianism in both Jewish War and Antiquities. In Antiquities, he describes “the Pharisees have delivered to the people a great many observances by succession from their father, which are not written in the law of Moses, and for that reason it is that the Sadducees reject them and say that we are to esteem those observance to be obligatory which are in the written word, but are not to observe what are derived from the tradition of our forefathers.” The Sadducees rejected the Pharisaic use of the Oral Law to enforce their claims to power, citing the Written Torah as the sole manifestation of divinity. The New Testament, specifically the books of Mark and Matthew, describe anecdotes that hint at hostility between the Jesus movement and the Sadduceean establishment. These disputes manifest themselves on both theological and social levels. Mark describes how the Sadducees challenged Jesus’ belief in the Resurrection of the Dead. In this glimpse of life after the Resurrection, we see that we are no longer in human form but appear as the angels in heaven. No longer are we under the laws of this world. Like Jesus, Moses, and Elijah on Mt. Tabor, we will be transfigured, being radiant and glowing bright as the sun. The content of the instructions and its interpretations, the Oral Torah, was passed down orally, excerpted and codified in Rabbinical Judaism, and in the Talmud were numbered as the 613 commandments. The ‘Jewish Law given to Moses at Sinai‘ (Hebrew Halakhah le-Moshe mi-Sinai הלכה למשה מסיני) is a halakhic distinction. Moral laws – on murder, theft, honesty, adultery, etc. Food laws – on what is clean and unclean, on cooking and storing food. Purity laws – on menstruation, seminal emissions, skin disease and mildew, etc. Feasts – the Day of Atonement, Passover, Feast of Tabernacles, Feast of Unleavened Bread, Feast of Weeks etc. 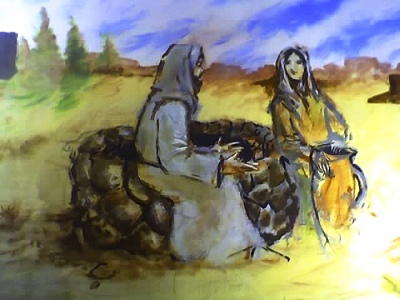 Sacrifices and offerings – the sin offering, burnt offering, whole offering, heave offering, Passover sacrifice, meal offering, wave offering, peace offering, drink offering, thank offering, dough offering, incense offering, red heifer, scapegoat, first fruits, etc. Instructions for the priesthood and the high priest including tithes. Instructions regarding the Tabernacle, and which were later applied to the Temple in Jerusalem, including those concerning the Holy of Holies containing the Ark of the Covenant (in which were the tablets of the law, Aaron’s rod, the manna). Instructions and for the construction of various altars. Forward looking instructions for time when Israel would demand a king. The Western Wall, Wailing Wall or Kotel (Hebrew: הַכֹּתֶל הַמַּעֲרָבִי (help·info), translit. : HaKotel HaMa’aravi; Ashkenazic pronunciation: Kosel; Arabic: حائط البراق‎, translit. : Ḥā’iṭ Al-Burāq, translat. : The Buraq Wall) is located in the Old City of Jerusalem. It is a relatively small western segment of the walls surrounding the area called the Temple Mount (or Har Habayit) by Jews, Christians and most Western sources, and known to Muslims as the Noble Sanctuary (Al-Haram ash-Sharīf). The Hajj (/hædʒ/; Arabic: حج‎ Ḥaǧǧ “pilgrimage“) is an annual Islamic pilgrimage to Mecca, and a mandatory religious duty for Muslims that must be carried out at least once in their lifetime by all adult Muslims who are physically and financially capable of undertaking the journey, and can support their family during their absence. It is one of the five pillars of Islam, alongside Shahadah, Salat, Zakat, and Sawm. The gathering during Hajj is considered the largest annual gathering of people in the world. The state of being physically and financially capable of performing the Hajj is called istita’ah, and a Muslim who fulfills this condition is called a mustati. The Hajj is a demonstration of the solidarity of the Muslim people, and their submission to God (Allah). The word Hajj means “to intend a journey”, which connotes both the outward act of a journey and the inward act of intentions. The Hajj is associated with the life of Islamic prophet Muhammad from the 7th century, but the ritual of pilgrimage to Mecca is considered by Muslims to stretch back thousands of years to the time of Abraham. 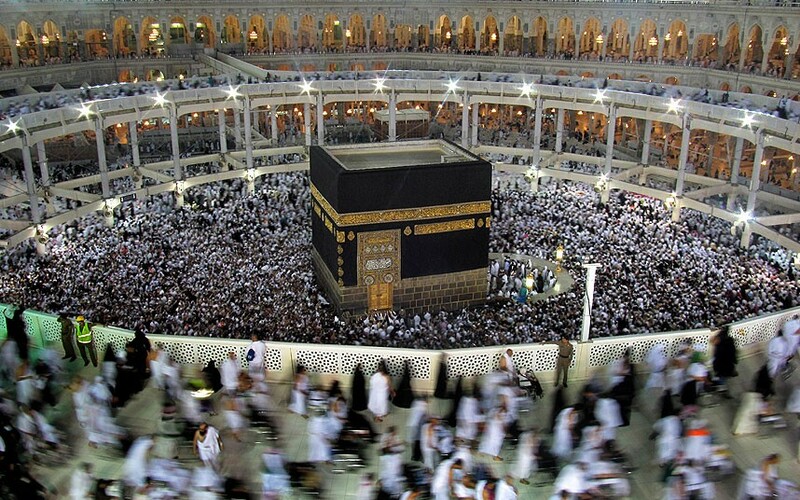 During Hajj, pilgrims join processions of hundreds of thousands of people, who simultaneously converge on Mecca for the week of the Hajj, and perform a series of rituals: each person walks counter-clockwise seven times around the Ka’aba, the cube-shaped building and the direction of prayer for the Muslims, runs back and forth between the hills of Al-Safa and Al-Marwah, drinks from the Zamzam Well, goes to the plains of Mount Arafat to stand in vigil, spends a night in the plain of Muzdalifa, and performs symbolic stoning of the devil by throwing stones at three pillars. The pilgrims then shave their heads, perform a ritual of animal sacrifice, and celebrate the three day global festival of Eid al-Adha. 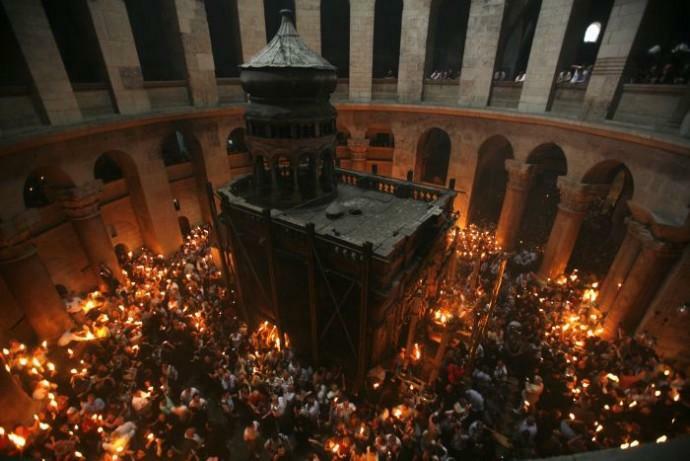 The Church of the Holy Sepulchre (sometimes spelled sepulcher; Arabic: كنيسة القيامة kanīssat al Qi’yāma; Hebrew: כנסיית הקבר הקדוש Knesiyat HaKever HaKadosh) also called the Basilica of the Holy Sepulchre, or the Church of the Resurrection by Eastern Christians, is a church within the Christian Quarter of the UNESCO World Heritage-listed walled Old City of Jerusalem. It is a few steps away from the Muristan. The site is venerated as Calvary (Golgotha), where Jesus was crucified, and also contains the place where Jesus is said to have been buried. Within the church are the last four (or, by some definitions, five) Stations of the Cross along the Via Dolorosa, representing the final episodes of Jesus’s Passion. The church has been an important Christian pilgrimage destination since at least the 4th century as the purported site of the resurrection of Jesus. 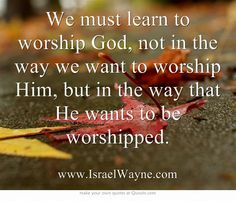 Jesus responded to the woman of Samarian’s question where was more important: to worship GOD on the mountain or in Jerusalem? Jesus answers that it does not matter, whether you worship GOD upon a mountain top, in Jerusalem, or any other place. Let us review the key points of today’s lesson: Our GOD is a loving GOD who exits in spirit and truth. 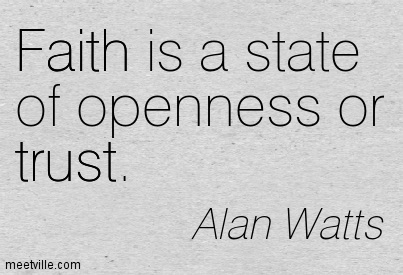 We are to worship God in spirit and truth, through expressions of love to both God and to our neighbours. 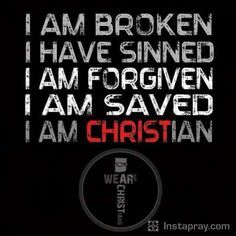 Through GOD’s son Jesus, we a provided a path to our own salvation and resurrection, by the power of the Holy Spirit. 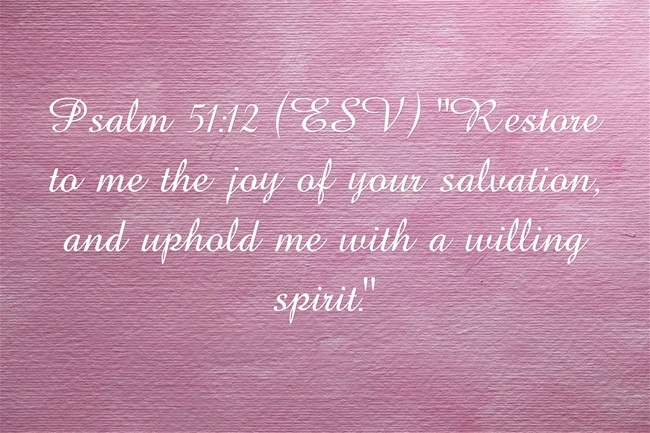 As believers in the resurrected Christ, we are comforted and guided by the Spirit, until the day of Resurrection, where we will be transformed into a glorious, luminous form. Until that day, God expects us to love HIM and others, in spirit and truth, sharing the Gospel of Christ, until the day the Lord returns.